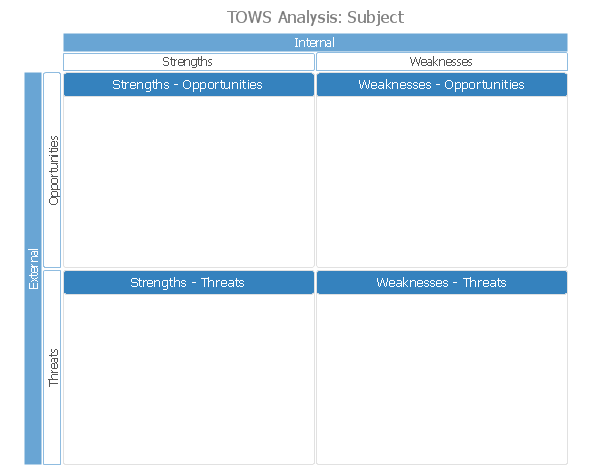 TOWS analysis is a method of strategic analysis which is oriented on the study of the threats (T) which are danger for the company and new opportunities (O) which are closely connected with weaknesses (W) and strengths (S) sides of its activity. ConceptDraw DIAGRAM diagramming and vector drawing software extended with SWOT and TOWS Matrix Diagrams Solution from the Management Area is the best for realization TOWS analysis and for quick and easy construction TOWS Matrix. 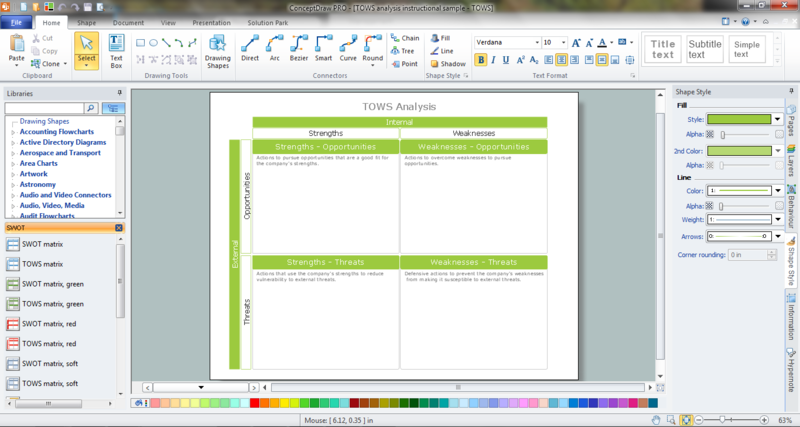 SWOT and TOWS Matrix Diagrams Solution includes the powerful drawing tools, SWOT Analysis library with 16 predesigned vector shapes, a lot of SWOT and TOWS samples and templates, including the TOWS Matrix template specially prepared for ConceptDraw DIAGRAM users. The TOWS Matrix template and samples are available from ConceptDraw STORE. Their designs and styles are so various that anyone will find for its taste. All they are professional looking, bright, beautiful and attractive, so they can be successfully used for presentations for the large audience. You don't need to be an artist to draw professional looking TOWS matrix in a few minutes. 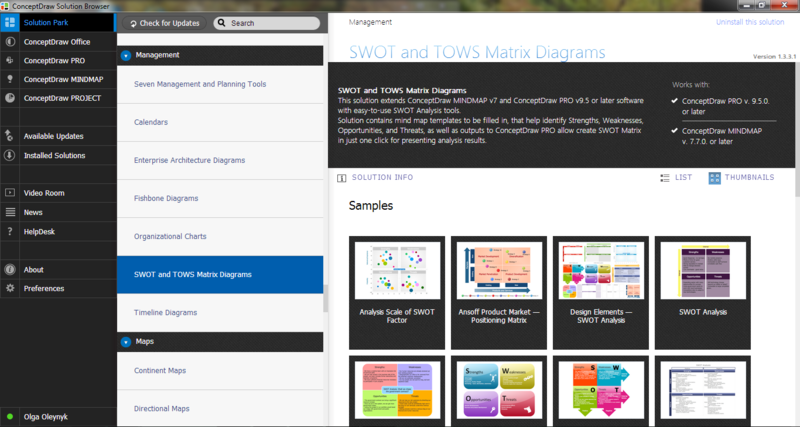 Great number of predesigned templates and samples give you the good start for your own TOWS matrix diagrams.